Hey, is that a coat? Now that the temperatures have dropped far below zero and the snow keeps falling I thought it would be the perfect moment to take out my warmer winter coat. BUT my dad has put it somewhere and he doesn’t remember where. So basically he lost my $160 super cosy Zara coat… So I had to go with this one. I was totally freezing! In other (and better) news, my boyfriends dad bought me this mini neon stachel from Old Navy last week! Can I just say that I LOVE it? It’s just big enough to fit my wallet, cellphone and a napkin. I really needed to learn to bring less stuff with me when I go somewhere because my shoulder always hurts so bad at the end of the day! Yay! I have that same bag! I'll be posting an outfit with it on Monday, I think 🙂 Love it. Also your coat is super cute! You poor girl, you look cold! Cute! Love the colour of your bag! Great look! Love the coat & the purse!! Whaaa hopefully you find that Zara coat soon. Nikki, ik ben echt helemaal verliefd op je tasje, SUPER CUTE ! En ik snap helemaal dat je nu even met je jas op de foto gaat 😀 ! Ik was ook van plan vandaag outfit foto's te maken maar het is er door de koude niet van gekomen 😀 ! I love this coat on you! Zara coats are classics, beautifully cut and chic. Great purchase! aw, that purse is super cute! and so is your scarf too! 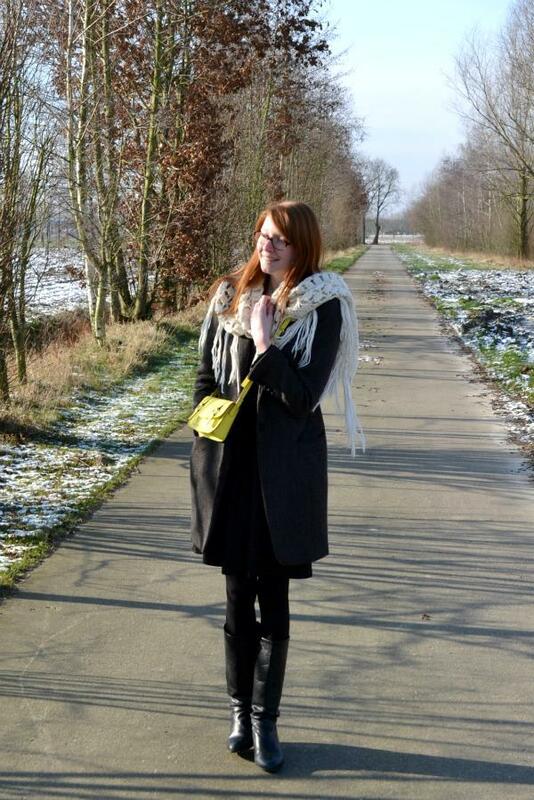 Love that little yellow bag…so cute! no no i really love all the things at this post. Wat een super schattige sjaal!! love coat!! !amazing blog!! !i'm following you!! !if you like mine,do the same!!!! Awww, I'm sorry your dad lost your coat! :/ This one is nice though, it looks nice and cozy 🙂 And I love the yellow bag! Super cute purse! I adore that burst of colour. Great blog, too, just stumbled across it! LOVE the pop of color in that bag! I definitely know the trials of sore shoulders! I can't go more than a few hours with a bag off my shoulder. but I love finding cute perfect sized bags that work! that satchel is soooooo cute!!!!! La besace, petit sac est franchement top! ow my, that tote is the cutest! I love your new bag! The color is so pretty, and it looks like the perfect size. Heel mooie laarzen Nikki! Wauw 🙂 en dat tasje is ook subliem, 'nen echten eyecatcher'! That bag is amazing! Yes, Old Navy finally did something right! Love your blog! What!! That purse!!!! I'm in love! 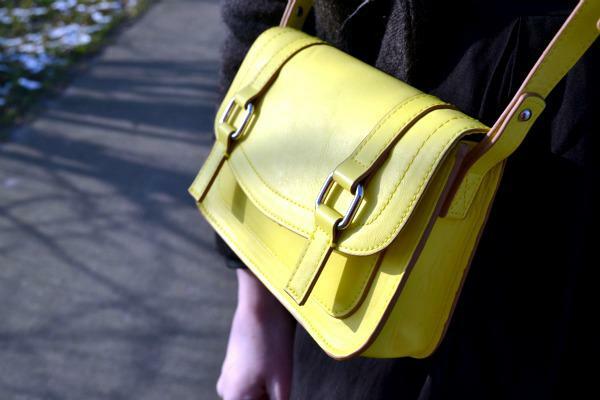 Your new satchel bag is awesome! I love the bright color of it.